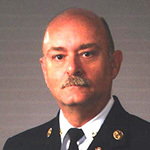 Willis Carter began his career in 1972, when he joined the Shreveport Fire Department as a firefighter. He transferred to the Fire Alarm Center in 1978, and was promoted to Assistant Fire Chief in charge of the Communications Division. He served in that position for twenty two years until his retirement in 2008. 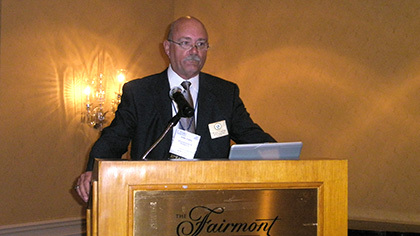 He lead his department through the development and implementation of two different computer-aided-dispatch systems, the transition to a co-located, multi-agency emergency parish-wide dispatch center and his department’s migration to a parish-wide 800MHz radio system which included the implementation of a mobile data system. Under his leadership, the Shreveport Fire Department’s Communications Division became the first fire communications center in the nation to receive the coveted Commission on Accreditation for Law Enforcement Agencies (CALEA) “Public Safety Communications Accreditation Program” award. He remains an avid supporter of the accreditation program and served as an assessment team leader for several years. Since 1985, Willis has been an active member of the Association of Public-Safety Communications Officials (APCO) International. 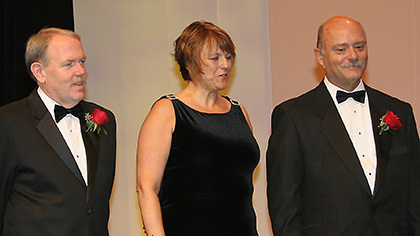 In 2004, he was elected to the national office of Second Vice President, ultimately serving as the 72nd President of APCO International from 2007-2008. He has provided testimony to congressional committees, and the FCC on issues relating to public safety communications. A respected and widely published author of public safety communications articles and texts as well as training and service guides, he has been consulting professionally since his formal retirement in 2008. Chris Fischer started her career as a dispatcher for the Renton Police Department, and joined the newly formed Valley Communications Center in 1977. She first worked as a dispatch supervisor, was promoted to deputy director in 1980, and appointed Director in 1987. Under her leadership, Valley Communications Center achieved national recognition as the first Commission on Accreditation for Law Enforcement Agencies (CALEA) Accredited Communications Center in the State of Washington, the first on the West Coast and the eighth nationwide. Valley Communications Center is recognized as a leader in public safety communications, both nationally and at the local level. 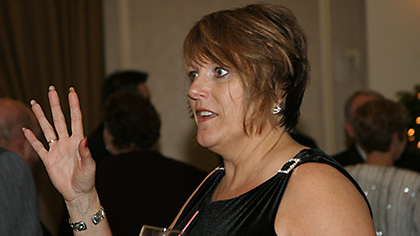 Chris has been active on many national-level committees regarding public safety communications for the majority of her career. She has been nationally recognized for her work as the Co-Chair of the Federal Communications Commission on Communications Security, Reliability & Interoperability Council (CSRIC), and as a Team Leader Assessor for CALEA. 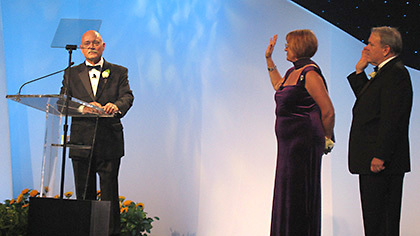 Chris concluded her term as the 73rd President of the Association of Public-Safety Communications Officials (APCO) International in 2009 and served on the Board as the Immediate Past President until 2010. 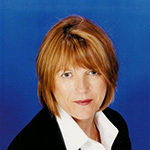 She was appointed by the FCC to be the Co-Chair of CSRIC and represents APCO on the Public Safety Spectrum Trust. She has trained telecommunicators and supervisors all over the United States and continues to provide training and management and operational reviews to pubic safety agencies around the country. Richard Mirgon has over 30 years of public safety experience with the last 20 years in the public safety technology field. He spent 13 years in Jefferson County Colorado as a Deputy Sheriff and worked as a Special Projects Manager for the Board of County Commissioners. In 1991 he assumed the role of Director of Technology Services for Douglas County Nevada; the Technology Services Department includes public safety communications/911, information systems, emergency management, and animal control. He retired from that position in 2009. He served as the 74th President of the Association of Public-Safety Officials (APCO) International and was APCO’s lead for the reallocation of the D Block spectrum to public safety. 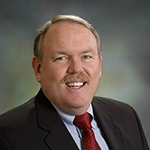 He was also one of the founding members of the Public Safety Alliance (PSA) and developed much of public safety outreach strategy, serving in a PSA leadership role until March of 2012. Committee. In December of 1999 he was appointed by Governor Guinn to the State Emergency Response Commission and served as Co-Chair from March 2001 until March of 2006. Additionally, he served as Co-Chair of the WMD/Homeland Security Steering Committee from 1999 thru the fall of 2003. Richard has testified before the US Congress, the Senate, and the FCC on public safety related technology issues, and he has been consulting professionally in Public Safety Communications since 2008.